I acquired a few days ago a Wink Hub along with a few Cree Connected light bulbs. I couldn’t pair them. Out of 5 bulbs, I was able to pair only one of them! After reading many posts on the Internet, I have made sure that the Wink Hub is not near my router, the light bulb was in range of the Wink Hub, and so on. I found out that one possible solution was to reset the light bulbs. I found the same recipe on many web sites, which were saying: “Turn the bulb off for 2 seconds, then on for 2 seconds. Repeat three more times. After the fourth cycle, the bulb will flash, indicating that the reset was successful.” It wasn’t working. Notice on step 2, 1 second, not 2. 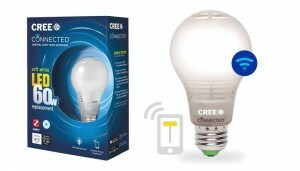 I could pair my 4 other bulbs without any problem. 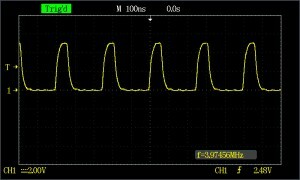 What is the maximum frequency an Arduino can generate? 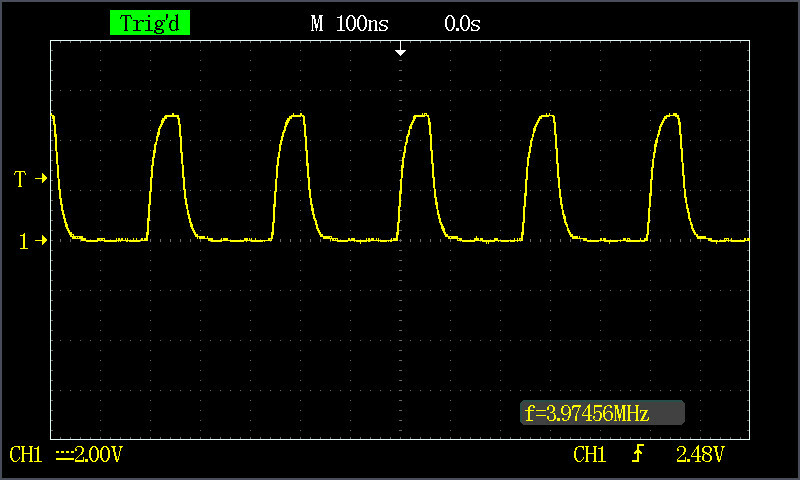 Typically, I obtained a frequency of less than 100 kHz using the Arduino function calls. The results were lower than I expected. I also observed that I had a frequency higher by 25 kHz using a pin from the 8 to 13 pin set than a pin from the 0 to 7 pin set. These tests yield a virtually perfect waveform. I obtained almost 4 MHz by accessing the register directly. The waveform was not as good as the waveform of the first four tests. The waveform is given in Figure 1. Click on the image to improve the quality.